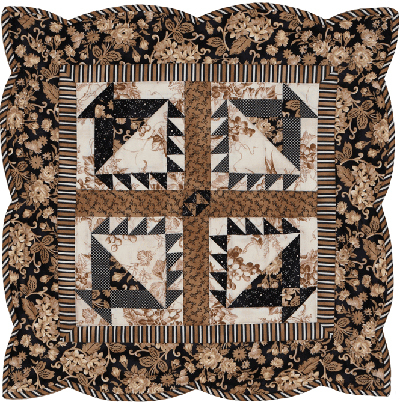 Our products are available for online purchase at QuiltersWarehouse & QuiltWoman.com. Note: Click Images to Enlarge or Return to Original Size. 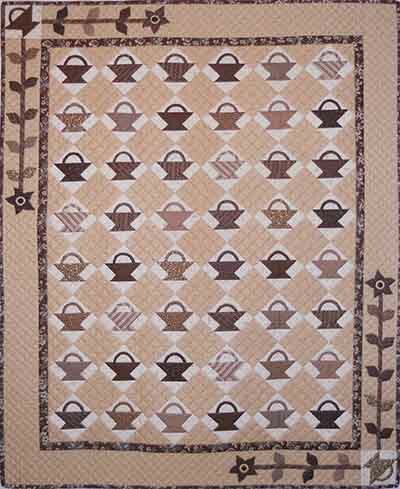 Sweet little 4-basket quilt; can be made either size 22”square (6” blocks) or 30” square (9” blocks). 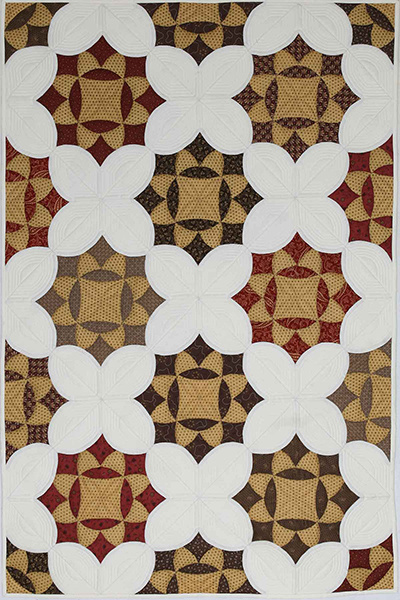 This quilt is made with the black & tan fabrics of Evonne’s Christmas Remembered Collection by P & B/Washington Street Studio. 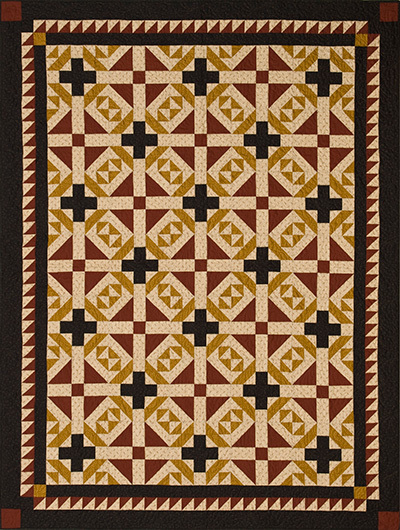 Little Brown Baskets is the first of a new collection of quilt patterns featuring a 4” x 5 1/2” size & 1 page front & back instructions. 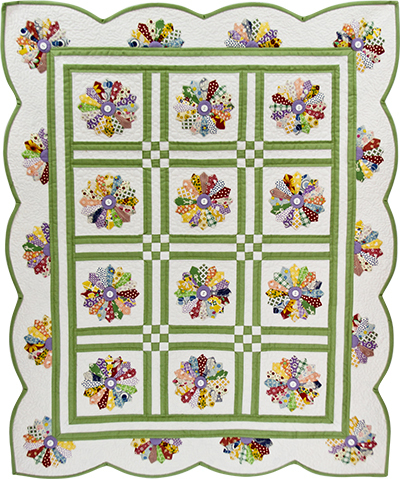 The quilt is 4” blocks of little baskets on point with a simple bit of appliqued borders. 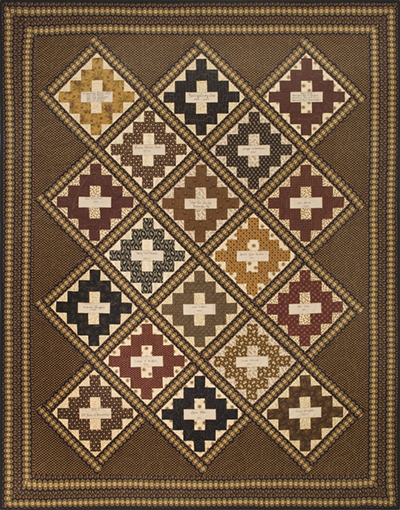 Sweet & simple makes a super statement for display or snuggling. 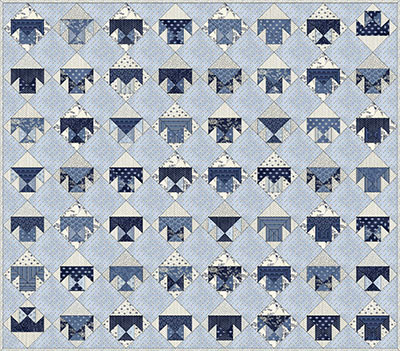 Little Dresdens This little beauty of Dresden Plates is quickly becoming a favorite quilt of many. 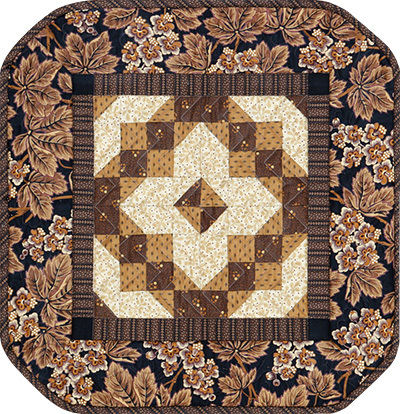 Buttons on the block centers & corners sets it off! 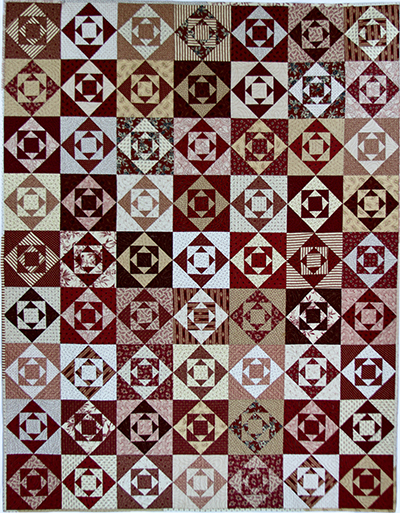 All machine pieced & quilted. Small size pattern; one page front & back instructions. 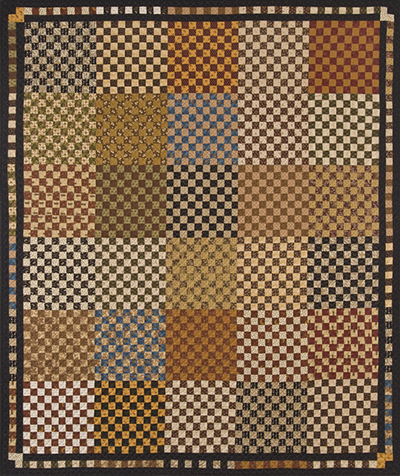 Beautiful simplicity in a quilt. 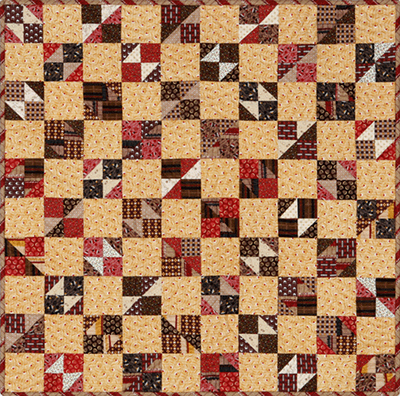 All strip pieced, it looks much more time-consuming than it really is. The striped border really sets it off. Small size pattern; one page front & back instructions. 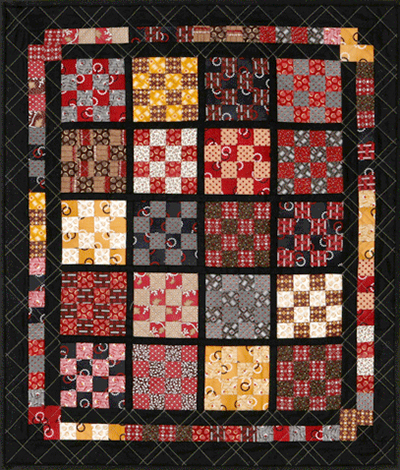 A quilt made to celebrate the centennial of a club gathering of friends for over 100 years. Album blocks on point make perfect signature blocks & places to record history. Small size pattern; one page front & back instructions. 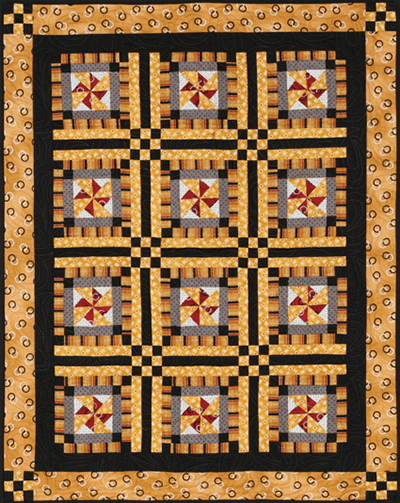 How many stars can you find in this quilt? Overlapping light stars & red stars play a “Robbing Peter to Pay Paul” effect. Small size pattern; one page front & back instructions.